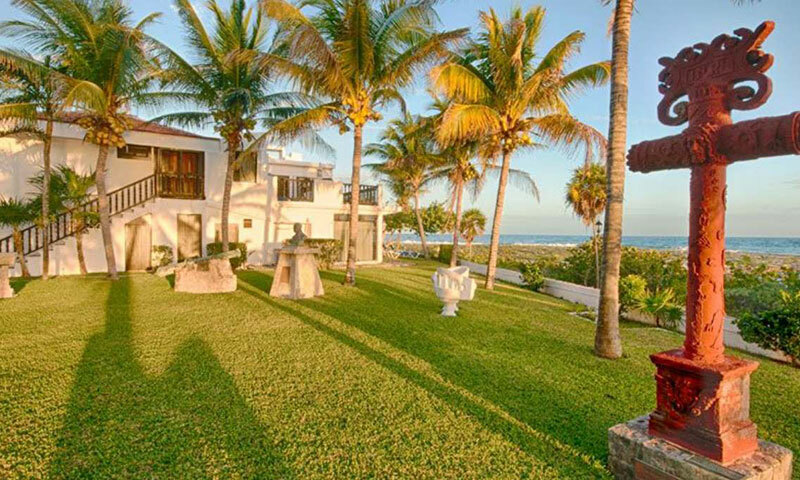 Cannon House is a wonderful place to spend a Mexican beach vacation. 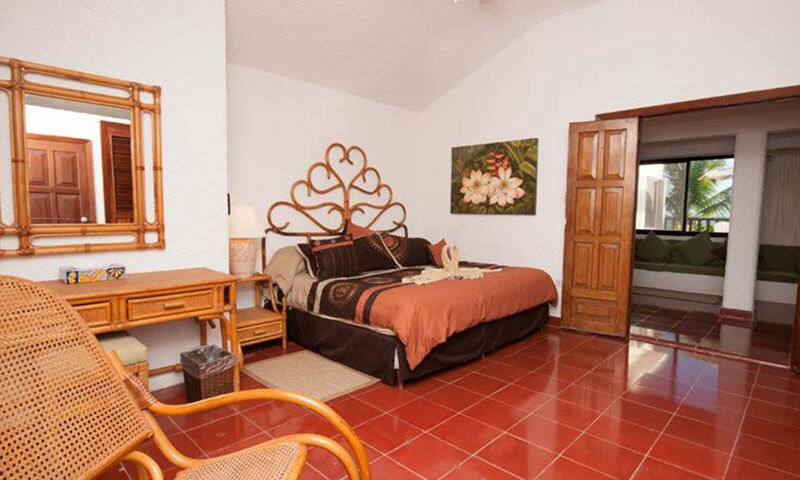 Located in one of the oldest homes in Akumal, both condos have a commanding view of both Akumal Bay and the open ocean. 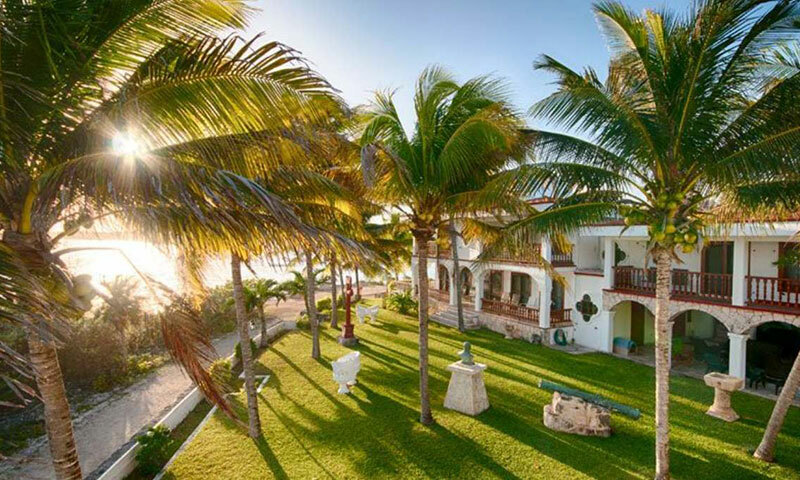 The grounds of Cannon House are well maintained and create a wonderful tropical feel. The owners live on site, have for 15 years, and are wonderful folks. The gardens, guarded with old cannons, are beautiful and well tended to. 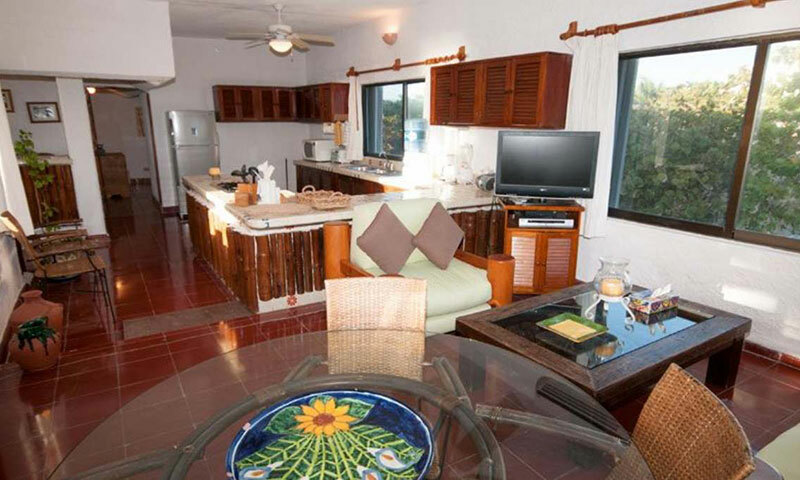 A five minute walk along a sea side paved walkway takes you into town and Akumal Bay beach. 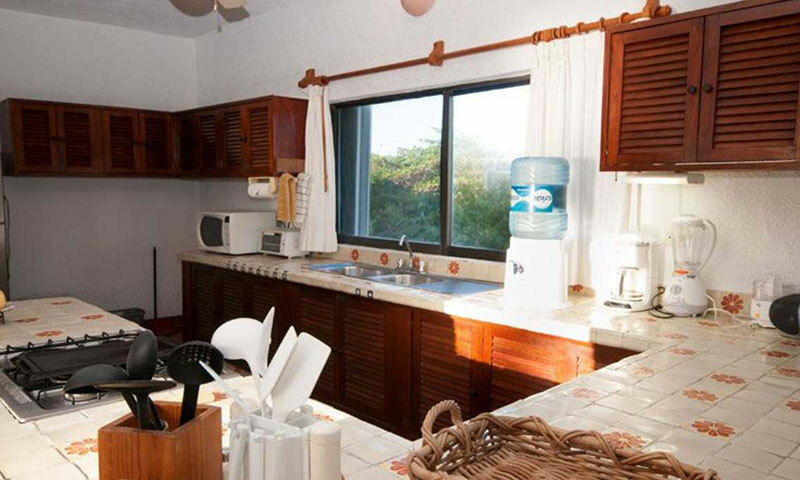 There you will find great swimming and snorkeling, the Lol-Ha beach bar/restaurant, and all the other central Akumal services, dive shops, grocery stores, ATM machine and more. 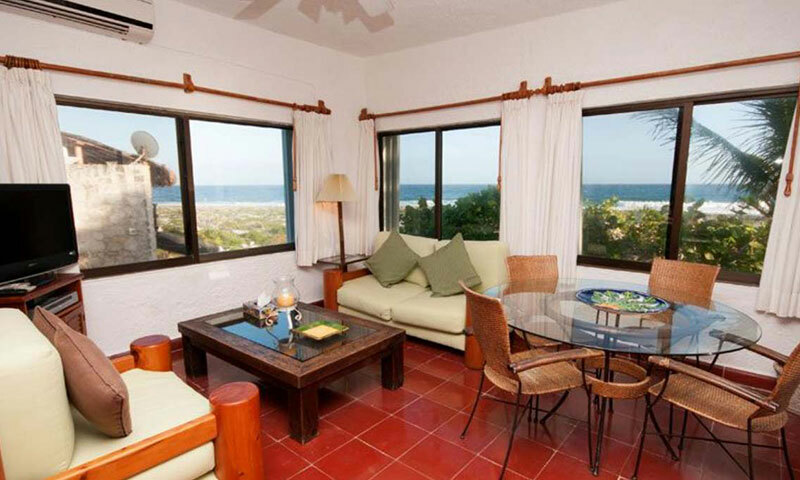 Cannon House Suite can be rented individually or with Cannon House Studio. 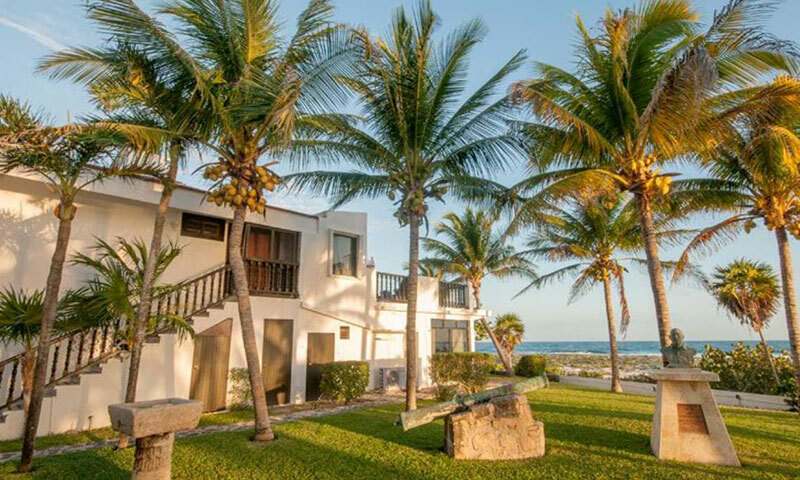 Please check individual listings for specific amenities and condo layouts. 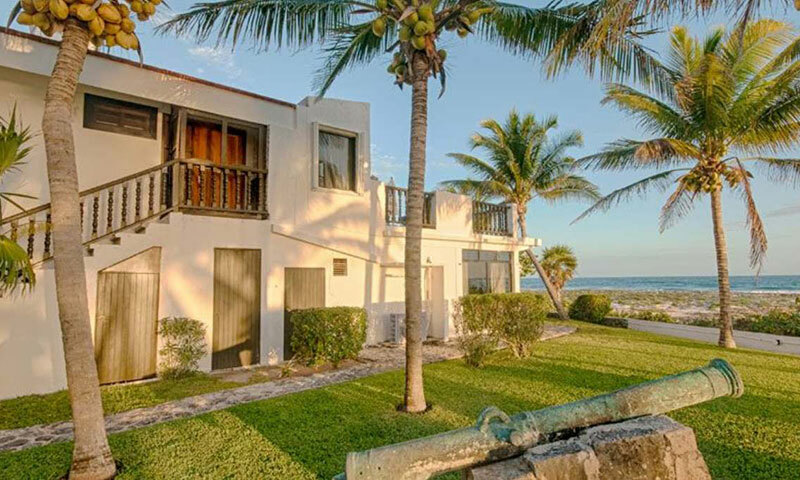 Cannon House is very popular and sells out way in advance, if you are interested in one of these condos, please contact us. 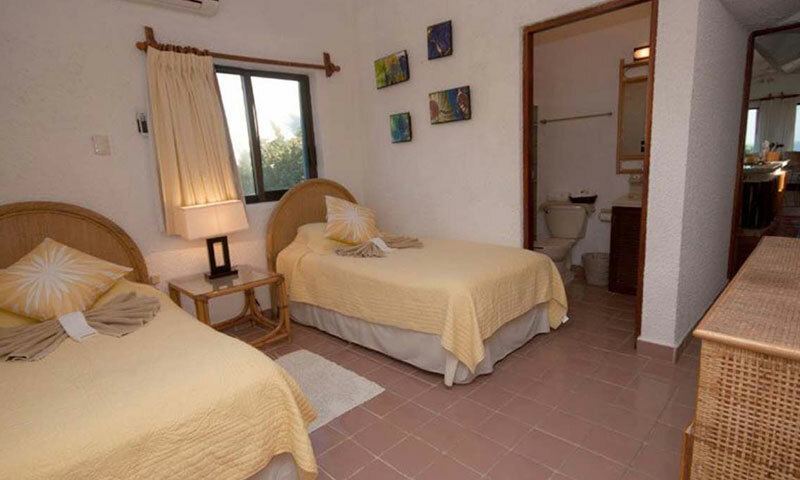 Located within a historic property on Akumal Bay, Cannon House Studio, has a king size bed, full kitchen, huge bathroom, and all facing the open ocean. 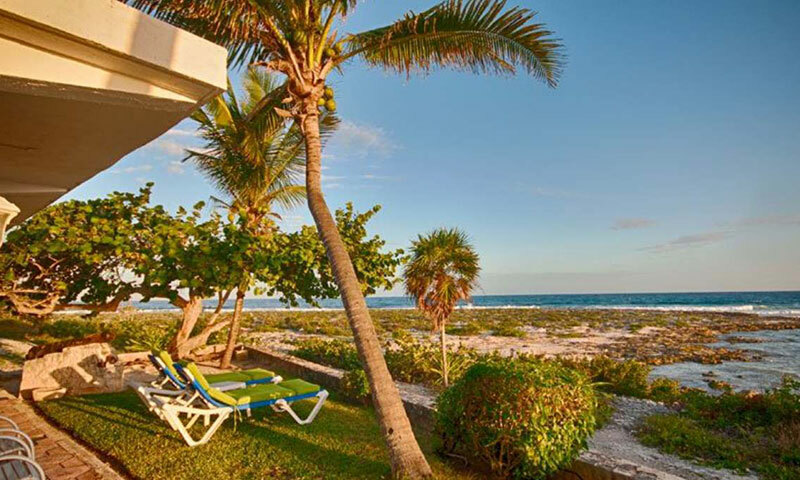 It is perfect for couples, honeymooners, or anyone wanting ocean front accommodations with breathtaking views and privacy.